Come late February or March, the winter is on its way out over much of the country. 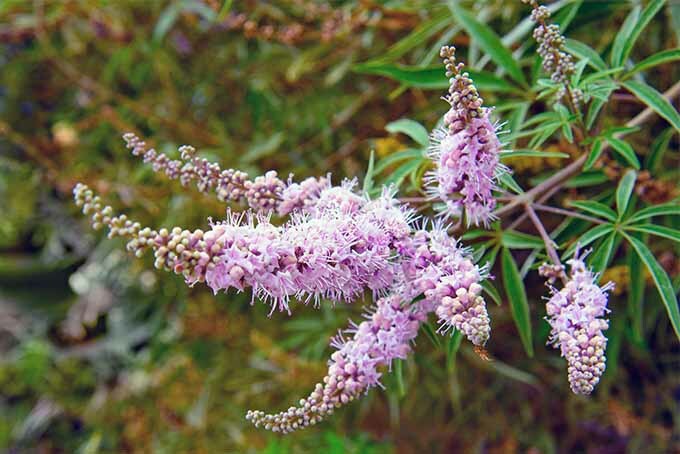 It’s pruning time for folks who have woody-stemmed plants that bloom or hedges and shrubs that need shaping up. But how and when to prune are puzzling to many people who otherwise know a lot about gardening. 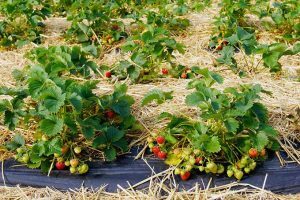 There are some basic rules that can serve as guidelines for pruning, but one should also carefully consider the individual cultivars of plants they have and realize that some of them don’t follow the rules precisely. 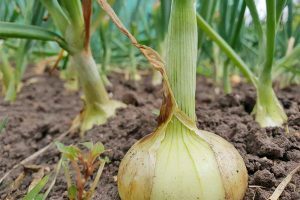 Why to prune in the first place? 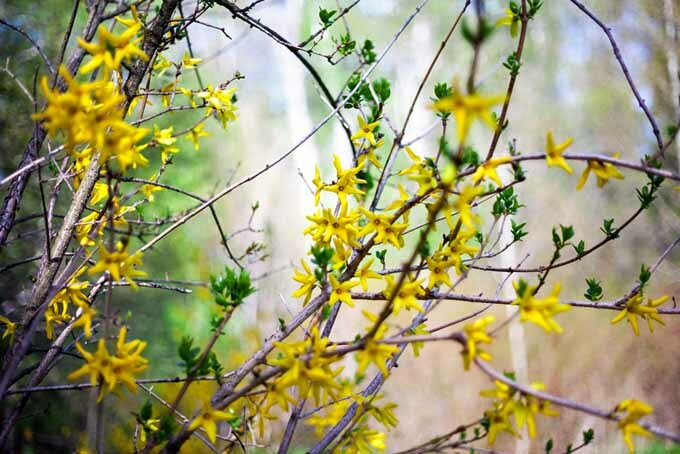 Many spring-flowering shrubs like forsythia or some bush honeysuckle’s become straggly and horribly shapeless unless pruned every year. 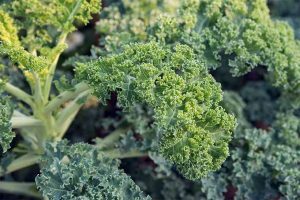 An unpruned plant also gets rangy and takes up more space. It definitely will flower less than a pruned shrub. 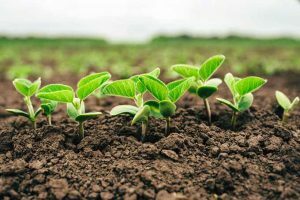 Cutting out the deadwood allows the plant more breathing room and allows light into the interior for healthier growth and less danger of disease. 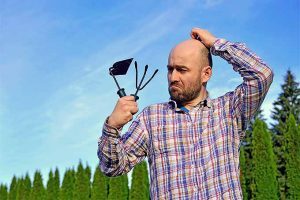 We know about deadheading, and pruning is just a heftier version of that on a larger scale. 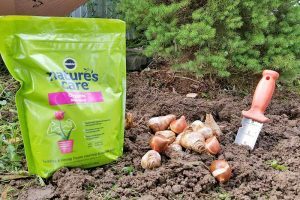 The basic rule of thumb is that If a plant flowers before mid-June, prune it in the spring after flowering; if it flowers later, prune it in late winter or early spring. 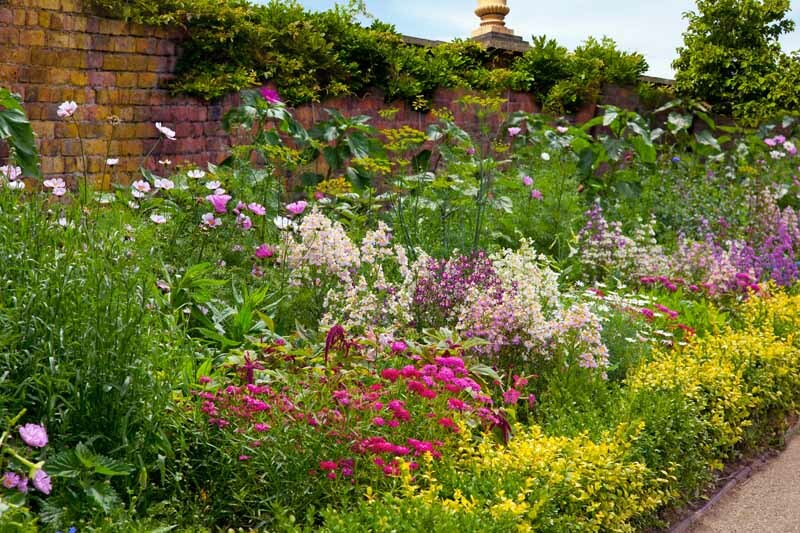 In other words, summer flowering plants are spring pruning candidates for sure. But some May or early June bloomers can benefit from a light pruning too. 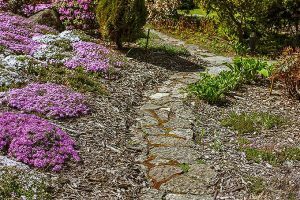 Every plant in the garden or yard will benefit if deadwood is cut out and the plant’s center is opened up a bit for aeration and light to get through to inner leaves and branches. 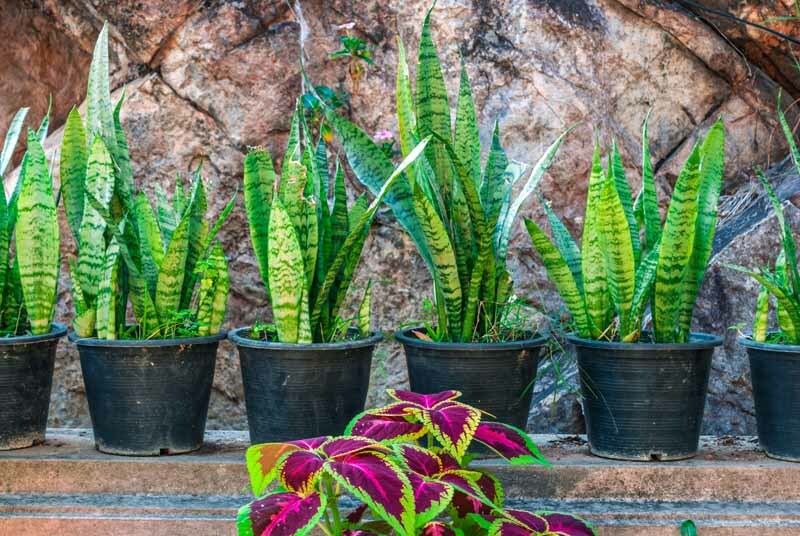 So get a good garden guide before trying to wing it on your own and follow the directions for whatever plant that’s being attended to. Pruning doesn’t require an arsenal of tools. 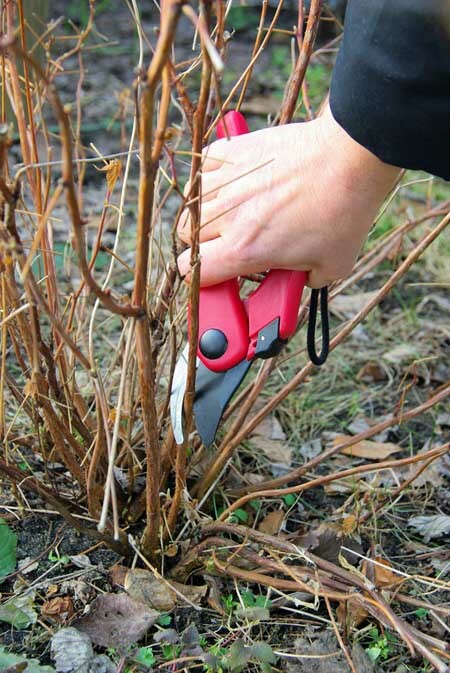 The basic pruners are secateurs, which are used for cutting through branches less than an inch in thickness. Just wipe them off after using and keep them sharp. 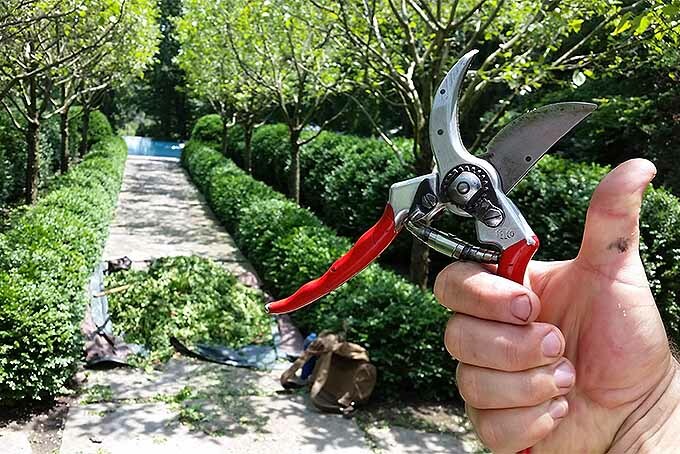 Some people call these pruning shears and they are hand-held and operated on one hand. The long-handled loppers simply are pruners that have longer handles and enable the gardener to reach further into a bush. 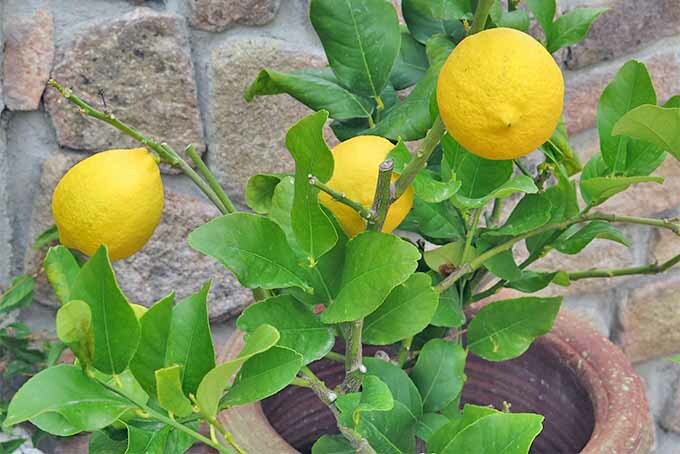 Because of their greater leverage, they also can tackle slightly thicker branches than can a secateur. These tools require both hands. I have never used a pruning saw, but they’re for cutting away larger branches at the base of another branch or a trunk. Then there are the very long-reach pruners that have a pulley mechanism attached and are operated on limbs high up with a cord pull. I won’t get into clipping to shape privacy hedges because that is an entirely different method which requires different tools. The skill is deciding when to do it, so you minimize the amount you have to do! 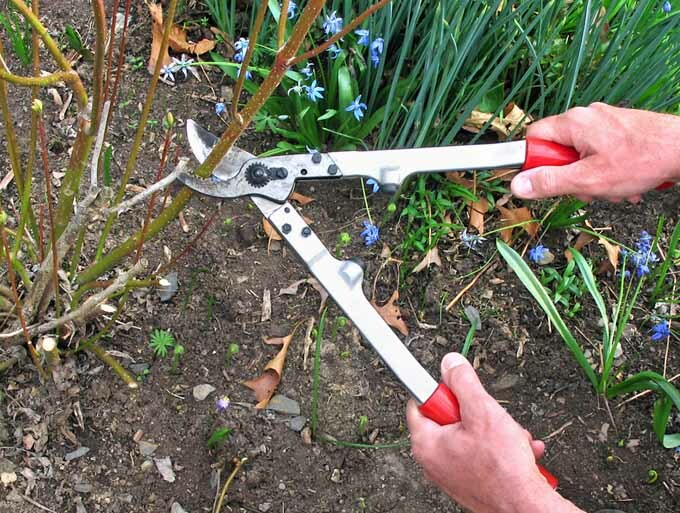 If you need to reduce the size of a shrub or bush, it may be necessary to prune over several years, in stages. 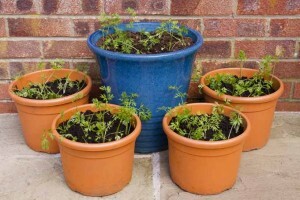 I’ll give just some basic how-to tips on some of the more popular plants. Hydrangeas like a late winter pruning and deadwooding. But different types want to be pruned at different times. Basically the ones that should not be pruned in late winter or early spring are “Grandiflora” varieties of the Bigleaf Hydrangeas. 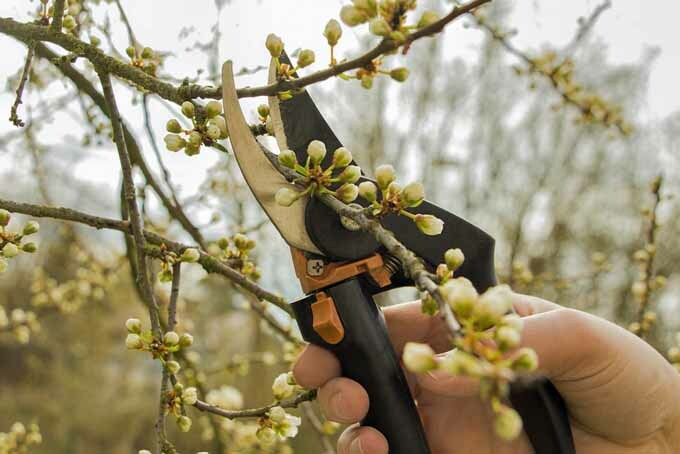 With these it’s important to be sure not to prune away any buds that may have set early and pruning now may destroy new blooms for this season. 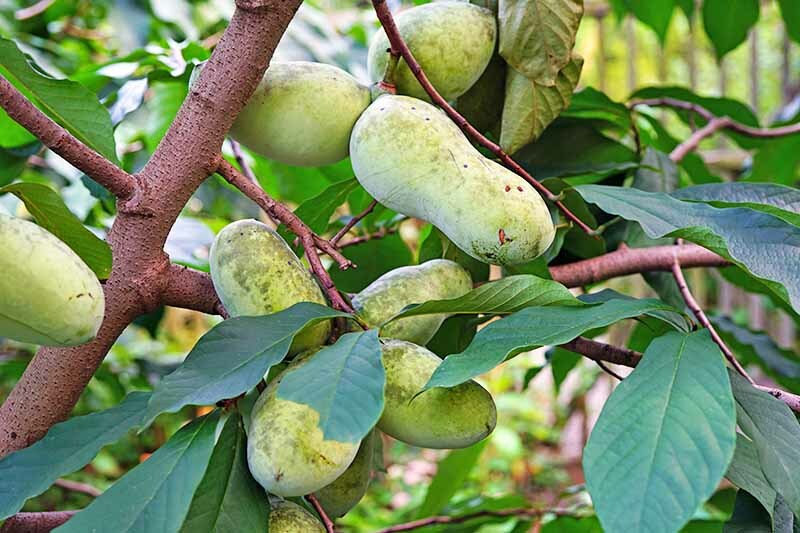 If you do prune lightly be careful to simply lop off the branch just above the new season’s bud. 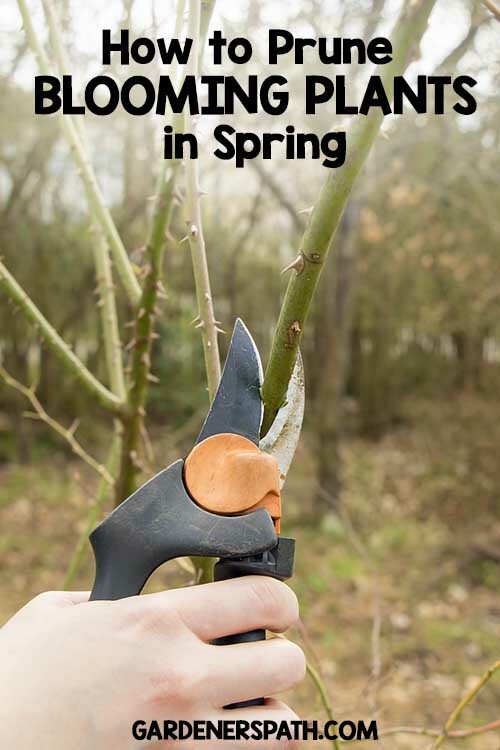 Be sure to remove all center deadwood and cut out or thin center shoots that will cut off light and air. Hydrangeas have brittle wood so they’re very easy to prune. Forsythias should have the deadwood cut out now and they can be shaped up a bit. If there are extremely leggy branches, cut them off by all means. 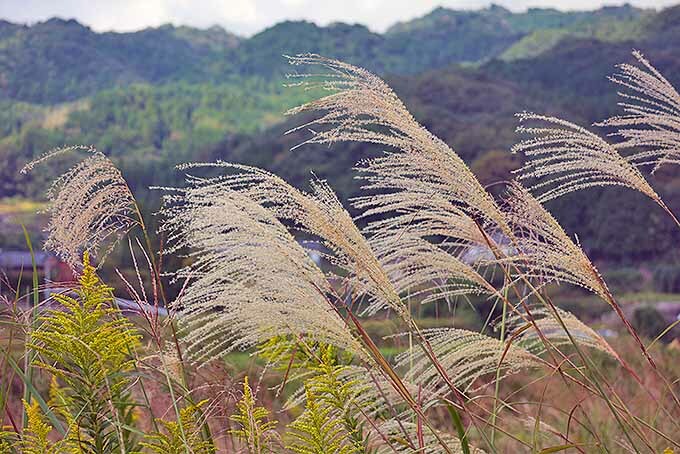 Go ahead a trim up anything that is too wild or leggy. 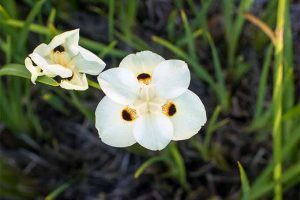 But be careful not to remove too much – the blooms appear on old wood. Forsythias definitely do need to be kept in check. But just realize that this season’s blossoms will come out on old wood, so anything that’s cut away will include some spring blooms. 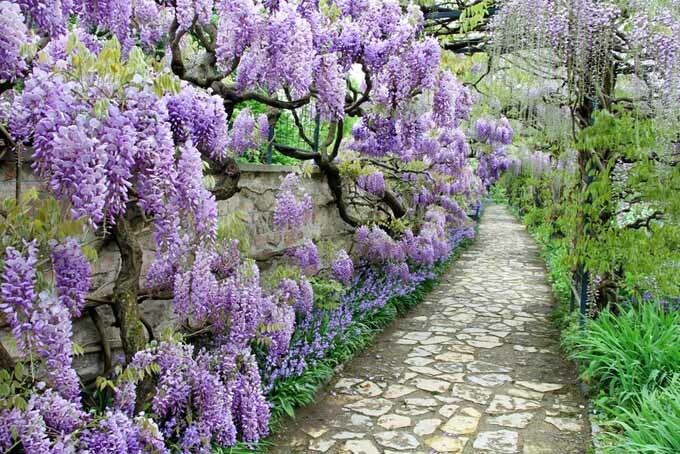 Wisteria is very hardy. 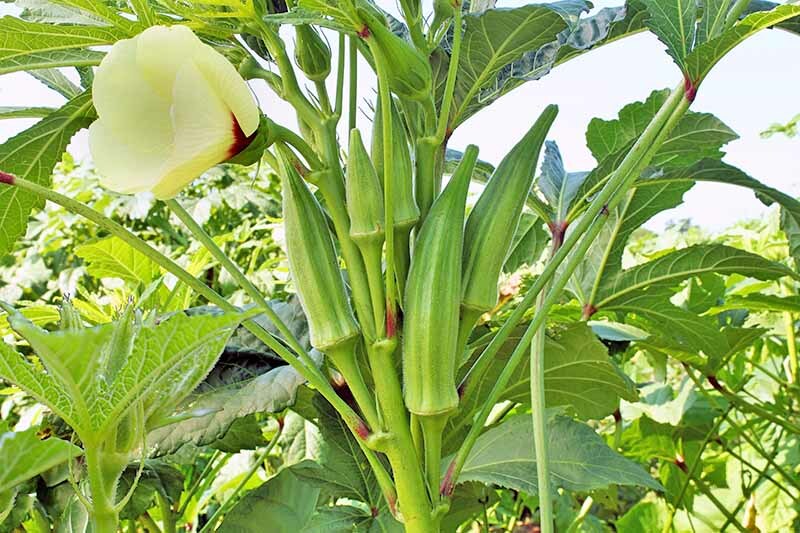 In fact, it is almost an invasive weed-like vine in parts of the mid- and deep-south. 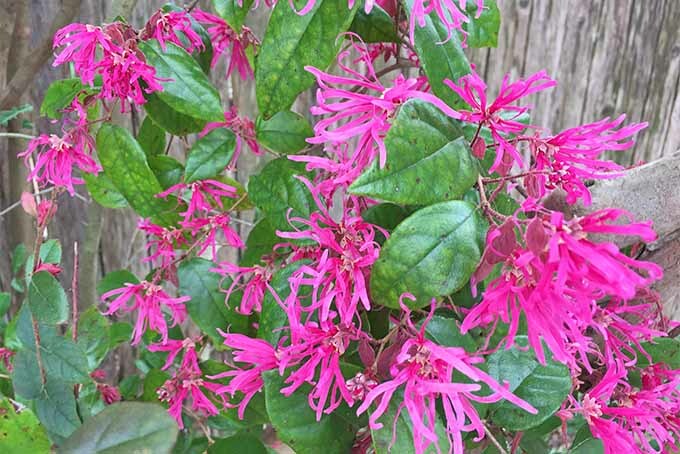 I prune mine at the beginning of every March, and it has bloomed like mad every year. 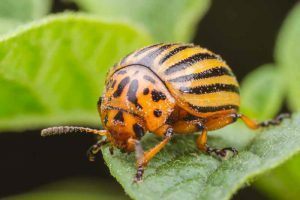 Definitely take care to lop off dead shoots and old, rotting branches because they may be diseased and if so, will infect the healthier parts of the plant. Thin wisteria with abandon, because it will grow back with a vengeance in the late spring-especially if it has not been thinned and pruned the fall before. Dogwoods are fun to prune in the spring while they’re still dormant because they can actually be shaped into lovely Japanese-style understory trees if done correctly. Never ever use a saw to cut off the branches. 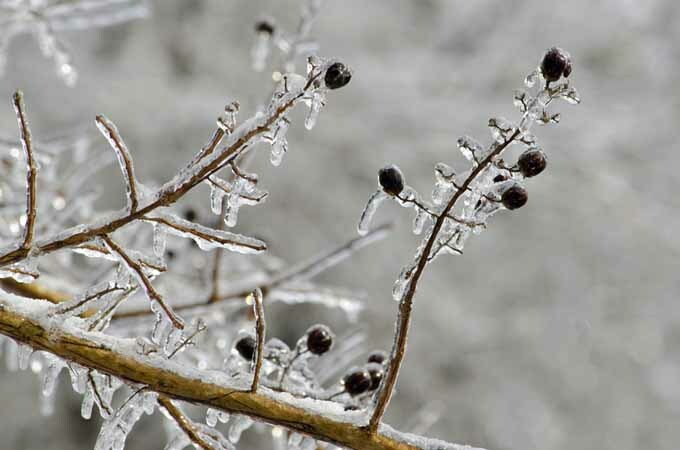 Instead, prune away small branches from a main branch that you want to keep dominant. Do this all over the tree, choosing the branches that add to the most interesting overall shape. Pruning a dogwood is almost like sculpting. 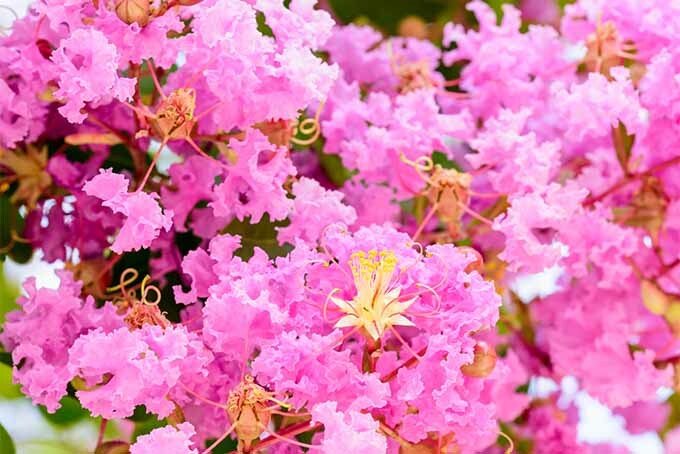 I have to make a special plea to Crepe Myrtle tree owners. Do not butcher your trees with saws by hacking the tree off straight across the top! In the south, we call it Crepe Murder and I see it all over Memphis. Whenever a tree is cut back severely in this manner, it completely loses its shape. 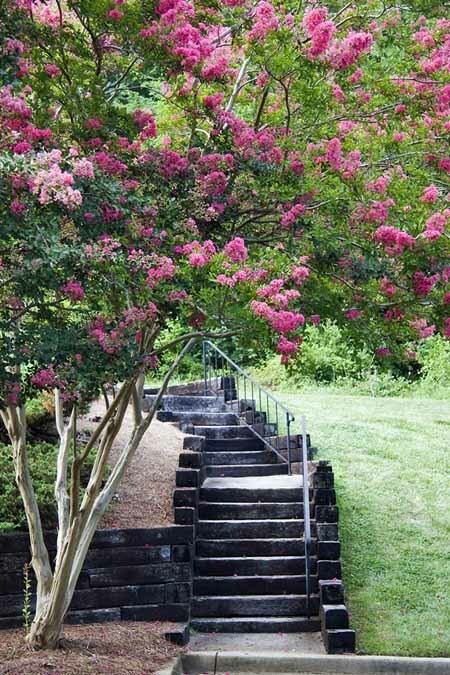 Crepe Myrtles have gorgeous winter bark that’s silvery to even reddish or white. The growth of the limbs can be phenomenal, like that of Dogwoods, if they are pruned the same way. 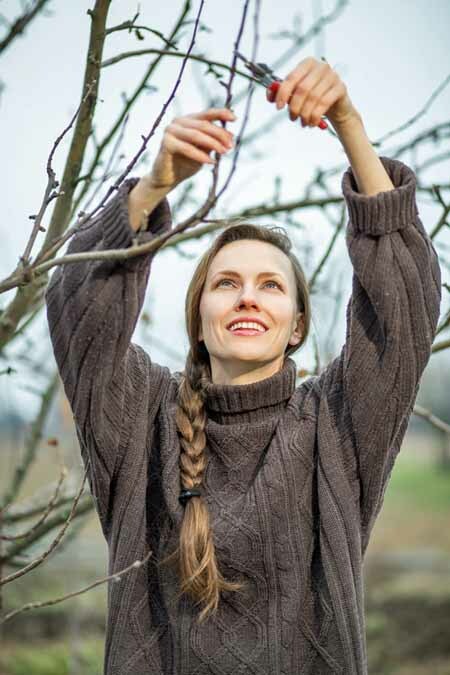 Never cut off any but side branches, taking care to leave a basic main branch intact, with only one or two other branches gracefully arching off that one. Always cut away the succors at the base of any Crepe Myrtle tree. If you have a young tree, cut away all but three or four main trunks, otherwise you’ll eventually have a mass of trunks that is basically shapeless and really pretty ugly. Aim at getting the shape of three or fewer trunks that gracefully branch and spread out into a form that’s pleasing. If you do, this tree will be beautiful winter and summer. 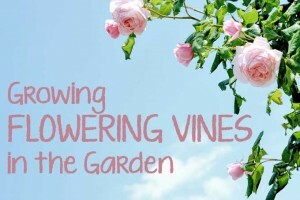 Do you have any tips or tricks in getting a better bloom in the spring through pruning? Feel free to share them below and to ask any questions that you may have. 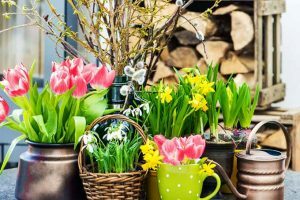 For more on pruning and prepping the garden for spring, be sure to check out this post, as well as our handy checklist.